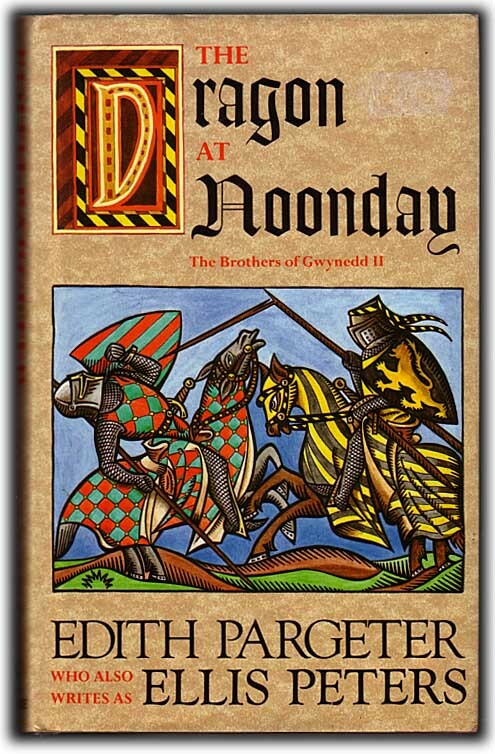 The Dragon at Noonday; being the second book in a sequence entitled The Brothers of Gwynedd. Published London: Headline, 1987 reissue (previously issued by Macmillan, 1975). Overall condition fair to good: dustjacket a little worn at the edges and corners; pages yellowed with and and a little foxed on the edges (printed on low-grade paper); text appears to be free of marking. Historical fiction: follows Prince Llewelyn of Gwynnedd's quest for recognition as Prince of Wales.